...a classically trained violinist and fiddler from Saskatchewan, Dr. Norman Burgess, came to Calgary and wanted to create a musical revolution. In 1982, the Calgary Fiddlers were formed and have entertained audiences around the world with their unique blend of ensemble fiddling, youthful exuberance and amazing musicality. The Calgary Fiddlers are a musically gifted group of young people who love to perform and who appeal to audiences of all ages around the world. This exciting ensemble bursts on to stage to deliver high energy performances of a wide range of music from traditional folk fiddling to country, bluegrass, Celtic and even big band. Each fiddler has a rigorous training schedule that includes private and group coaching sessions on a weekly basis, in addition to performing at over 100 functions in and around the Calgary area each year, and touring internationally. Each year, Calgary Fiddlers group is comprised of 15-18 ambitious teen musicians who passionately rehearse and perform fiddle music throughout the Calgary region, around Alberta, nationally and internationally. These teen sensations perform at over 100 events each year, all while attending school full-time. Auditions for the Calgary Fiddlers program takes place in June each year, and is intended for ambitious and talented violinists aged 12 to 18 who play the violin at a grade 7 level and beyond. Add some high octane musical magic to your next event. 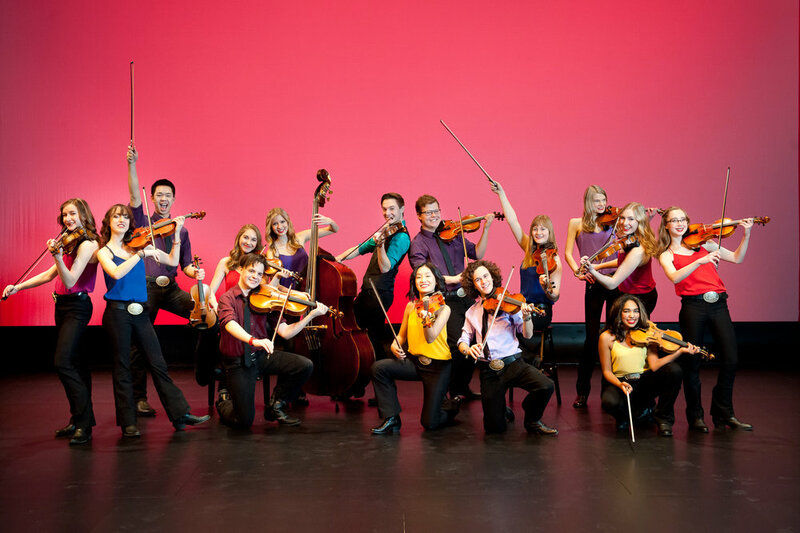 The Calgary Fiddlers provide a truly Calgarian and Canadian feel to your special occasion with the exuberance of youthful energy and amazing talent. Performances can be from 15 minutes to multiple 30 minute sets in length. To book the Calgary Fiddlers for your next event, please call 403-257-4666 or email info@calgaryfiddlers.com.